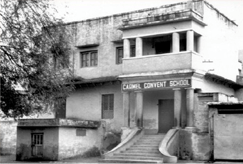 Carmel Convent Senior Secondary School was founded in Gwalior on 11th February in the year 1957 by the Carmelite Sisters of St. Teresa. 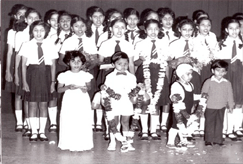 It is managed by the Teresian Carmel Education Society, registered in M.P. 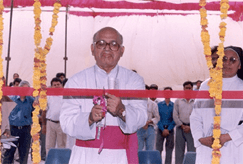 under the Madhya Pradesh Societies, Registration Act. 1959. It takes girls from class KG to XII. 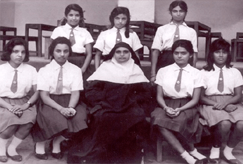 With the first foundation, St. Teresa's Convent Ernakulam, Kerala, she started a school where all types of students, irrespective of their social and financial status, were admitted. 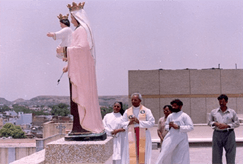 In the short span of her life as Foundress (1887-1902), she also set up an orphanage for the poor whom society discarded, and even personally nursed the sick inmates during the epidemics of the time. 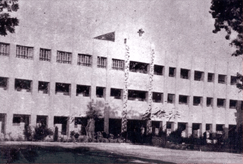 A dispensary, Industrial school for the poor, and home for the Aged, were also started. She was a pacesetter, who visited even the prisons and attended to the spiritual needs of the prisoners. She brought about liberation from the chains of casteism and poverty. 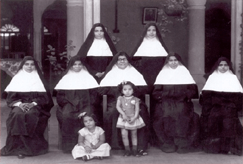 Imbued by her spirit, Carmelite Sisters of St. Teresa serve in the field of education, social and health action.